Park Regis Griffin Suites is ideal for business meetings or a family getaway. Griffin Suites feature a cafe and bar and is conveniently located with a tram stop at the door. 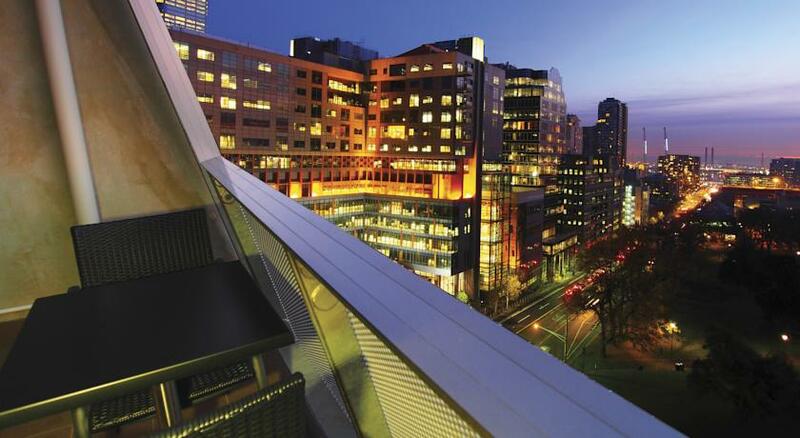 Griffin Suites are just 2 kilometres along St Kilda Road and close to Albert Park. Park Regis Griffin Suites consist of modern and stylish studio, one and two bedroom apartments which offer comfort and privacy. , National Gallery of Victoria. Oaks on William places you in the center of Melbourne, within just a 15-minute stroll of popular places like Queen Victoria Market, Melbourne Central, and RMIT University. Highlights at this aparthotel include in-room kitchens, furnished balconies, and LCD TVs. WiFi, wired Internet, and cable TV are featured in all 264 apartments. Kitchens with refrigerators, microwaves, and stovetops, making in-room dining convenient. Coffee/tea makers, in-room childcare, and in-room massages are also available. This smoke-free aparthotel offers a fitness center, concierge services, and a 24-hour front desk. Other amenities include WiFi in public areas, wired Internet in public areas, and laundry facilities. There's also the convenience of self parking. 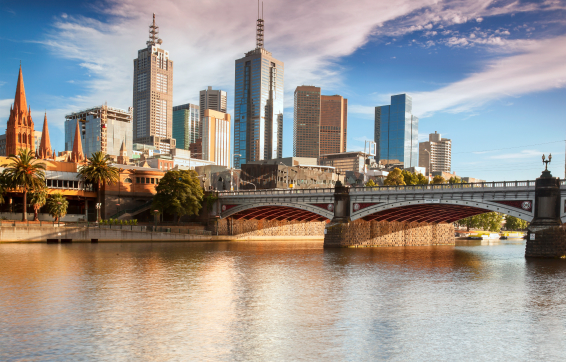 Attractions within a 20-minute walk of this 4-star Melbourne CBD aparthotel include Bourke Street Mall and Melbourne Aquarium. Recently refurbished, the Oaks on Market is centrally located, offering easy access to Melbourne’s attractions: shopping, theatres, dining and entertainment, as well as proximity to the legal and financial precincts. Oaks On Market comprises 280 luxuriously appointed Studio, 1 and 2 bedroom fully self-contained apartments. There are two licensed restaurants: Alexi’s on Market and R2 Restaurant & Bar which provide delicious dining options for hotel clients and the general public. Situated in the heart of Melbourne, Oaks on Collins offers chic, New York-style apartment accommodation, consisting of superbly-appointed, self-contained studios. Just outside the door is the city’s vibrant restaurant, entertainment and shopping precinct, while Bourke Street, Southgate, the Crown Entertainment complex and Telstra Dome are a short stroll away. Oaks on Collins prides itself on providing accommodation with all the comforts of home, exceptional amenities and welcoming service. Each luxury studio is characterised by contemporary design, spacious floor plans and state-of-the-art kitchens with stainless steel appliances. Hotel facilities include common laundry facilities, a business centre, "First Floor Restaurant & Bar", plunge pool, gym and sauna. The conference facility at Oaks on Collins caters for groups of between 10 and 200. There are seven rooms, six having an abundance of natural lighting and adequate floor space, and specially tailored options like menus, styling and equipment available. Located in one of Melbourne’s most sought after suburbs against a backdrop of historic architecture, our brand new hotel occupies an enviable position on Yarra Street and intersects with the popular Toorak Road, just a short 10 minute drive or four kilometre walk from the CBD. Oaks South Yarra presents guests with a smorgasbord of attractions on its doorstep and something to suit all tastes and moods. From shopping up a storm at the renowned retail mecca of Chapel Street and the Jam Factory, to enjoying a morning coffee in a quirky laneway café, wining and dining at an award-winning restaurant, sampling colourful cocktails at a chic, boutique bar, exploring the Prahran Markets or walking through the Royal Botanic Gardens; our property is the perfect South Yarra base for travellers of all ages. The Como Centre, South Yarra’s tallest office building, is also within easy reach. Enjoy the convenience of having full kitchen and laundry facilities in your Oaks South Yarra apartment, as well as air conditioning, wi-fi access (including 30 minutes of free, continuous use daily), work desk, TV, and private balcony offering stunning views over the surrounding city and laneways. Oaks South Yarra also boasts various public transport options within minutes’ walking distance, including the South Yarra train and tram stations. Taking inspiration from Melbourne’s landmark Art Centre spire along with Beijing’s Bird Nest Olympic Stadium, the building’s façade features a prominent frame that coils around its exterior, giving it immediate skyline presence but also its eponymous name – WRAP on Southbank. A grand entrance comprises a beautiful heritage warehouse, juxtaposed with 41 floors of modern apartment accommodation. Guests will enjoy supreme self-contained convenience of spacious one and two bedroom apartments, stunning city and river views and easy access to Southbank and all it has to offer, including Crown Casino and Crown Entertainment Complex, Melbourne Aquarium, the Arts Centre Melbourne, Royal Botanic Gardens, National Gallery of Victoria, Melbourne Exhibition Centre, Federation Square and Southgate Promenade with myriad dining options. Onsite leisure facilities include an indoor swimming pool, sauna, well-equipped gymnasium, and convenient undercover car parking, while corporate travellers will appreciate the business and secretarial services available via reception. Please note that there is no vehicle set down on City Road, the car park entrance and drop off is at 68-76 Fawkner Street at the rear of the property. Oaks on Lonsdale is located in one of Melbourne’s most sought after locations and is the ideal base for both business and leisure. Close to a selection of restaurants, cafés and the vibrant theatre district and only a short stroll to local transport. Oaks on Lonsdale provides comfortable, modern studios and spacious one, two and three bedroom fully self-contained apartments all complete with fully equipped kitchens fitted with stainless steel appliances and reverse cycle air conditioning. air conditioning, WiFi access, television and private balcony.